Anyone good at these things might have worked out that the 1978 show and 39 others should mean we reached 40 in 2017. In 1995 however we, for various reasons, did not produce a ‘full’ show and hence we had to wait one more year before we could faithfully celebrate becoming ‘middle-aged’? More about the 1995 endeavour is mentioned later, but for now we must start at the very beginning, (a very good place to start). No, we are not about to break into rendering of ‘Do re mi’, but few will know, let alone, remember the very beginning. The true beginning was in fact eight years earlier, when in 1970 the Winchester Gang Show, was invited to perform a one-night stand at Brune Park School and sparked considerable interest and flurry of activity with the aim to create a Gosport version. Sadly the first lesson learnt was that setting up something like a Gang Show, was slightly more complicated than first thought. There was plenty of enthusiasm but the search for personnel with the specialist skills, and the creation of a team that could lead the project was to test that enthusiasm to the limit. However, the idea of having a creative activity to help occupy the winter months was an attractive one, and the Gang Show genre was well proven to fit the bill. Although the Gosport Gang would not come to fruition in 1971, as hoped, the spark had become a smouldering objective. It was a further four years though until flame was to finally ignite. In 1975 the 1st Lee on the Solent Gang Show was first performed. Then Rowner area based Scout, Cub, Guides and Brownie groups combined to perform at the Thorngate Theatre in Gosport. Their two shows raised funds for the R.N.L.I. in 1976 and 1977. The Lee Gang Show also performed in the Thorngate in 1976, due to the demise of the Old Lowry Hall, condemned as a fire risk! However, that move only served to fan the flame of development, interest and ultimately success. Lee’s 1977 production was honoured to have the company and support of Ron Meyer, who had been Assistant Producer of the London Show and was then Scout HQ advisor for Gang Shows. It became obvious however that no single group could hope to maintain such a high level of commitment and so, if progress was to be maintained, the Gang Show would have to go ‘District’. So after seven years of efforts within the borough a team was finally formed, and this Gang Show had it’s opening night on March 28th 1978. No one then would have ever thought, or even dreamed, that we would still be going 40 years on. 1st; 3rd; 4th; 5th; 6th; 7th; 8th; 9th; 11th; 12th, 14th, 16th and the 1st Lee. 1978 - All the performances sold out – those were the days, but we did have a very small theatre. 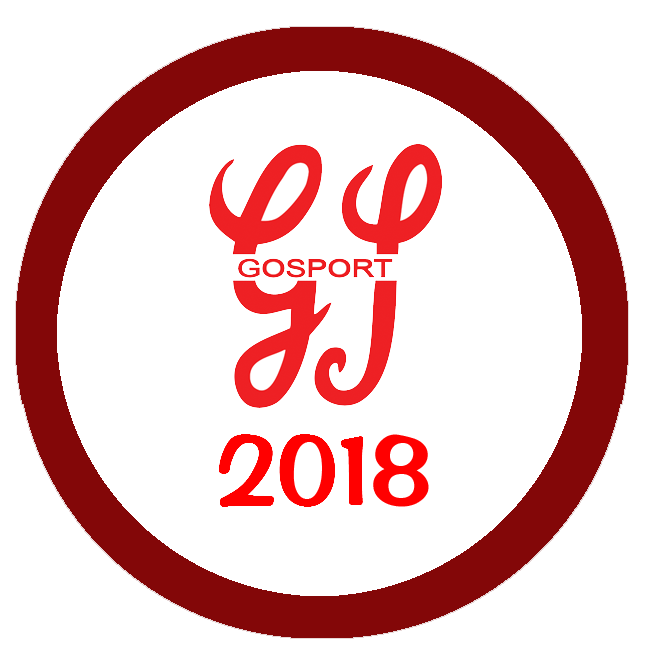 later in the run – and it remains, as far as we know, totally unique to Gosport Gang. to visit any show in only their 3rd Season. Gosport was framed, then it and our new scarves were presented at an evening of celebration. 1981 - Our first gang visit abroad – to see “Gang Show on Ice” in Den Hague – Holland. 1982 - Red Scarves was heard in the finale for the first time. airfield, together with Basingstoke Gang Show. Over 2000 in camp to meet the Chief Scout. 1984 - We moved to Brune Park School, to increase audience capacity, our home for the next 21 years. 1987 - The 10th Show and the first visit, to the show itself, of another Chief Scout. ever undertaken and for those who participated most certainly an everlasting highlight. someone who knew someone who knew someone who knew we had performed in Switzerland. 2006 - The show moved to the Ferneham Hall and a whole new era begins. Hampshire County H007, and performed to nearly 7000. Another never to be forgotten event. 2010 - Our second ‘Gang in Concert’: This time 2 productions in one year! Phew ! and a CD published. and when did we first experience a marquee as a dressing room? And when did that little round badge first appear, that now has 178 variations …….